Istanbul, March 17 (Compass Direct News) –- In Tizi Ousou, 100 kilometers (62 miles) east of Algiers, security police on March 9 notified pastor Salah Chalah to close his 1,200-member Full Gospel Church. Police issued notice to a second pastor, Mustapha Krireche, to close down his church in Tizi Ouzou’s Nouvelle Ville district. “They are trying to establish a minority, which might give foreign powers a pretext to intervene with Algeria’s domestic affairs,” Religious Affairs Minister Bu ‘Abdallah Ghoulamullah told reporters. Ghoulamullah reportedly said that the churches and their pastors would be investigated to see if they had broken the law, according to The Media Line, a non-profit news service. Written police orders called on both churches to “cease all activity until [their] situation could be regularized and brought into conformity” with a 2006 religion law governing non-Muslim worship. Passed two years ago, the law forbids attempts to convert Muslims to other religions and bans the production of media intended to “shake the faith of a Muslim.” As all Algerian Christians are converts from Islam, the new law could be interpreted to make nearly all Christian churches in the country illegal. Authorities have only recently begun enforcing the law, which also restricts all religious gatherings to government-approved buildings. “It would be better that authorities give us the possibility to be in conformity with the law and not order us to close the churches,” the head of the Protestant Church of Algeria (EPA) wrote in a March 9 appeal. The closure notice demanded that the churches conform to articles “05.06.13” but did not make clear how the church had violated these sections. EPA President Mustapha Krim complained that article 5, which requires government approval for any physical changes to religious buildings, remains vague. In consultation with lawyers, Pastor Chalah has decided to appeal the closure and continue church meetings, Christian support organization Open Doors reported on Thursday (March 13). The Holland-based organization said Algerian law requires that a judge, not the police, issue the closure order. The Tizi Ouzou area serves as a hub for Christian activity in the country. “This is a key place in Algeria, a lung of the [greater] church where many seminars are taking place,” a director of one Christian mission working in the region told Compass. Algeria has stepped up pressure on local and foreign Christians in recent months, ordering 10 churches to close their doors since November. That number represents approximately 20 percent of the country’s Protestant churches. Ranging in size from several dozen to more than 1,000 members, 32 congregations in Algeria belong to the EPA, while another 20 small fellowships exist independently. Authorities have shut down congregations in Ait Amar, Ait Djemaa, Bachloul, Boughni, Ouargla, Tiaret and Tizi Ouzou, according to a Christian advocacy group. Middle East Concern reported that the government has closed the churches on various pretexts, including security concerns and property rights, as well as non-compliance with the March 2006 religion law. On February 25 police ordered a U.S. citizen and former head of the EPA to leave the country within 15 days. The Rev. Hugh Johnson, 74, was later allowed to appeal the decision and continues to reside in the country while awaiting a verdict. Johnson, who has lived in Algeria for more than 40 years, declined to comment on his situation when contacted by Compass. In comments to reporters, Algeria’s religious affairs minister said that Johnson was being expelled following the expiration of his visa. “The measure is purely administrative and has nothing to do with [unwanted] evangelism missions of the Protestant Church in some provinces,” daily El-Khabar quoted Ghlamallah in a February 29 report. On February 5 three Algerian Christians were convicted of “insulting Islam” and unofficially told that they would be sentenced to three years in prison and fined, MEC reported. Their written sentences however, have yet to be delivered. Authorities told another Algerian Christian accused of proselytism that he would be fined and jailed for a year, but at a March 5 hearing a court ruled to acquit him. Another believer accused of the same crime is scheduled to appear before a court on April 2, MEC reported. Algeria’s Catholics, who number only a few hundred, have also faced increased pressure from authorities in recent months. In January, French priest Pierre Wallez was given a suspended one year sentence for praying with Christians in a place not sanctioned for worship. Wallez was visiting illegal Cameroonian migrants on the border with Morocco, part of a shifting refugee community that Catholic priests have visited for years. The priest was tried on the March 2006 religion law for conducting a service in a place other than a government-approved building. “I think it’s due to the fight against the proselytizing by evangelical groups,” Archbishop of Algiers Henri Teissier told Reuters, explaining why the Catholic Church experienced difficulties with Algerian authorities over the past two years. 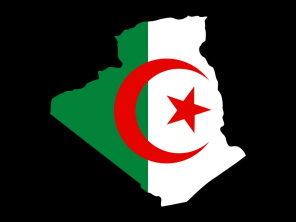 Approximately 10,000 Protestant Christians live in Algeria, a country of 33 million. Some Algerian Christians place the number of Protestants much higher, though figures are uncertain as satellite television evangelism has reportedly prompted a large number of isolated conversions.